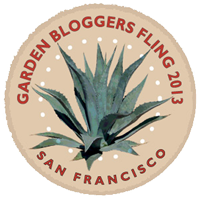 Today is Garden Blogger Bloom Day and my garden is participating wholeheartedly. 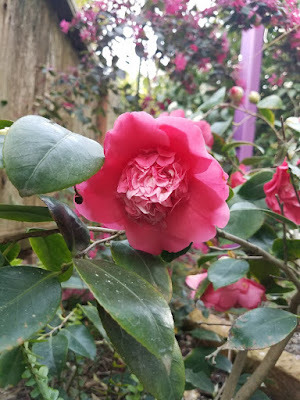 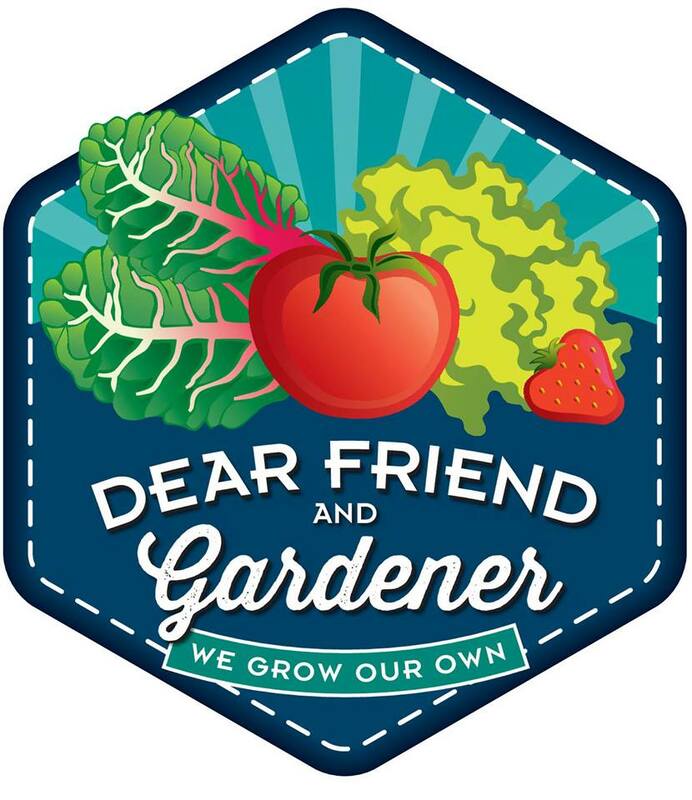 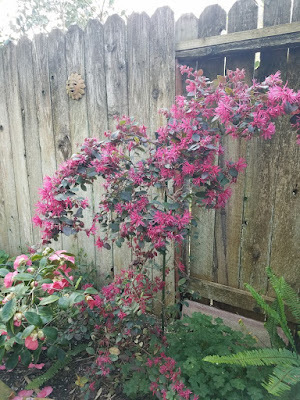 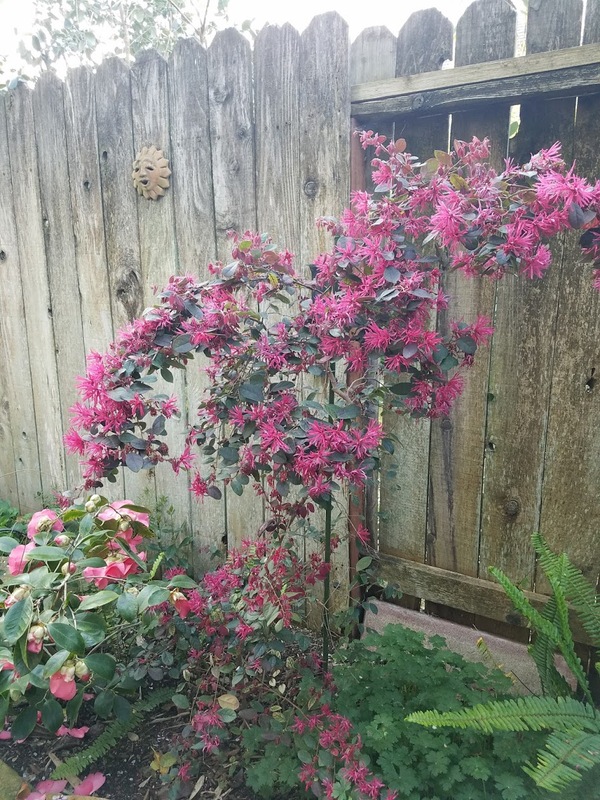 The winter rains have encouraged plants and gardener to come out and enjoy a "normal" spring and all are taking advantage of that encouragement. Two pots of tulips opened their blooms for the first time today. 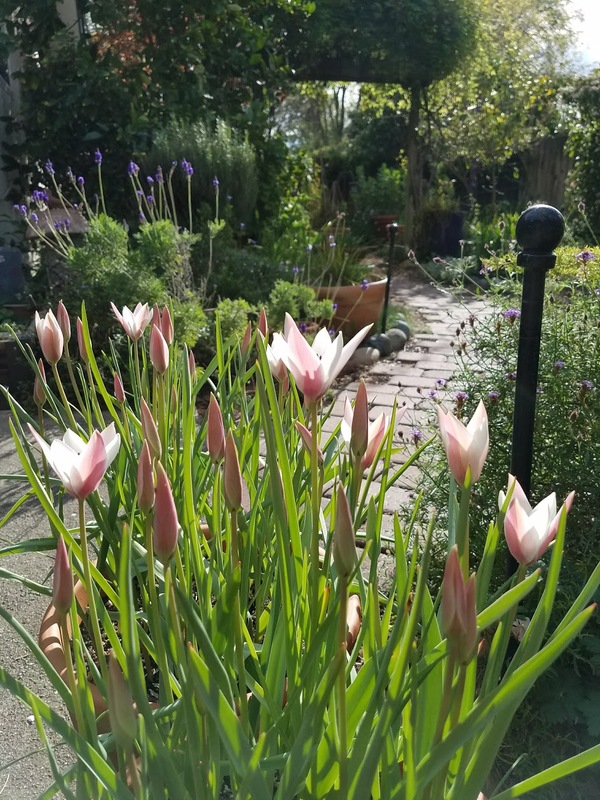 These pots are easy to move into view when they are in bloom and will be moved back to the side yard afterwards to be stored unwatered until next winter's rain has them return for another round. 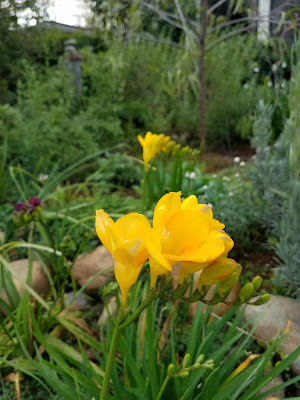 This routine has worked for several years and has given the best tulip results in my garden. My cymbidium orchid 'Ivy Fung' began blooming a week ago...I am so happy that it has a bloom and that I did not snap it off before it opened as I may have done last year. 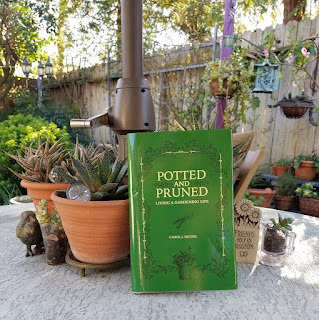 It was carefully moved from the nanogreenhouse to the patio table and I have been very cautious this time! 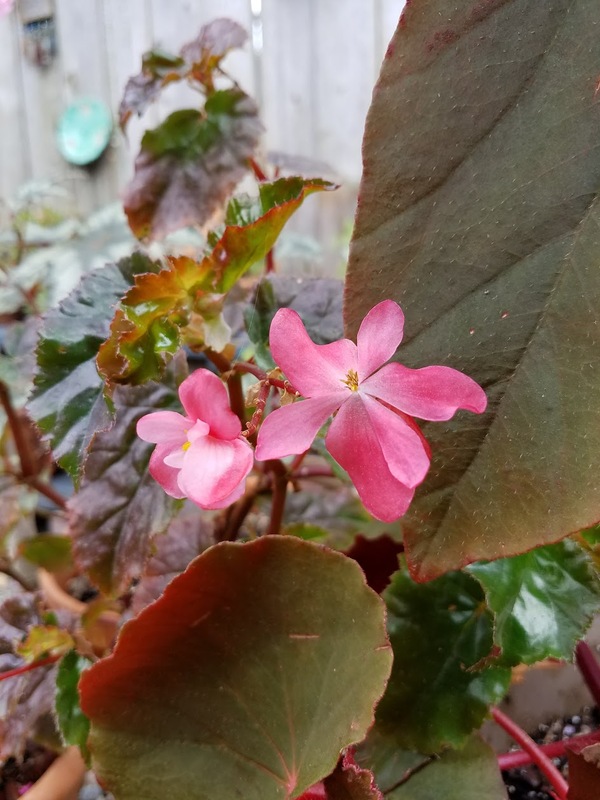 Several of the begonias, also newly freed from the nanogreenhouse, have opened their small blooms. I grow these more for the foliage but appreciate the blooms as well. 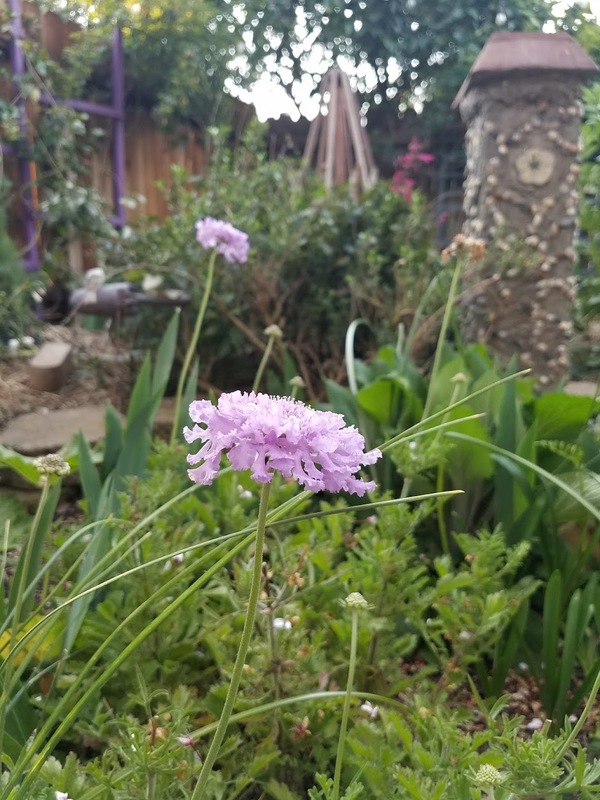 This scabiosa hybrid has bloomed a bit all winter and continues to do so as the weather warms up. 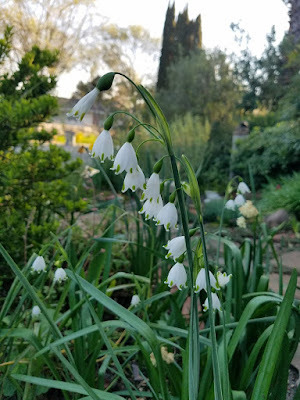 Leucojum aestivum is tucked here and there in the garden and so there have been blooms for weeks; as one area fades another begins. 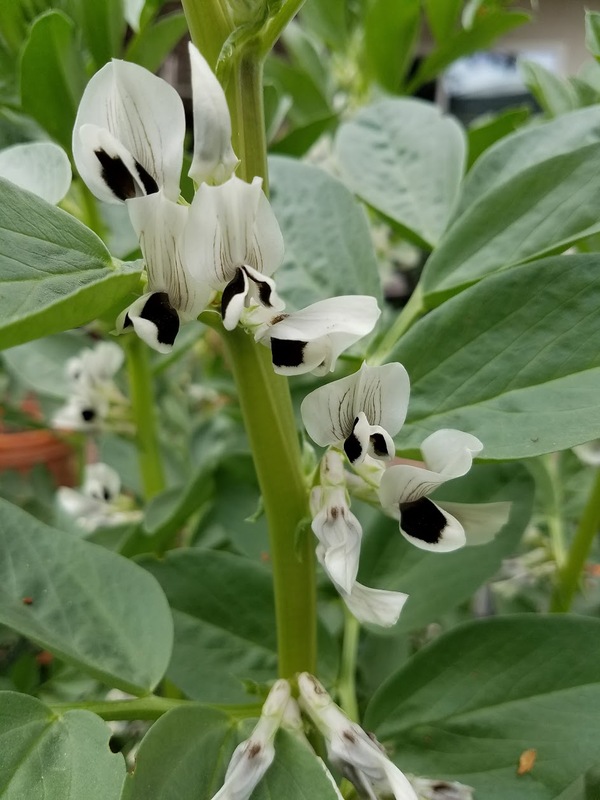 The favas with their pretty blossoms are in full bloom promising a yummy pasta dinner in the future. 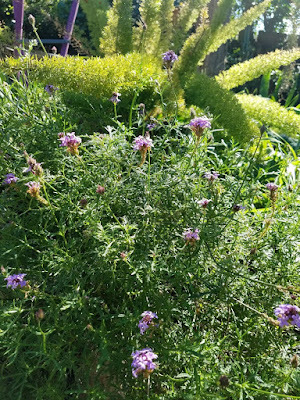 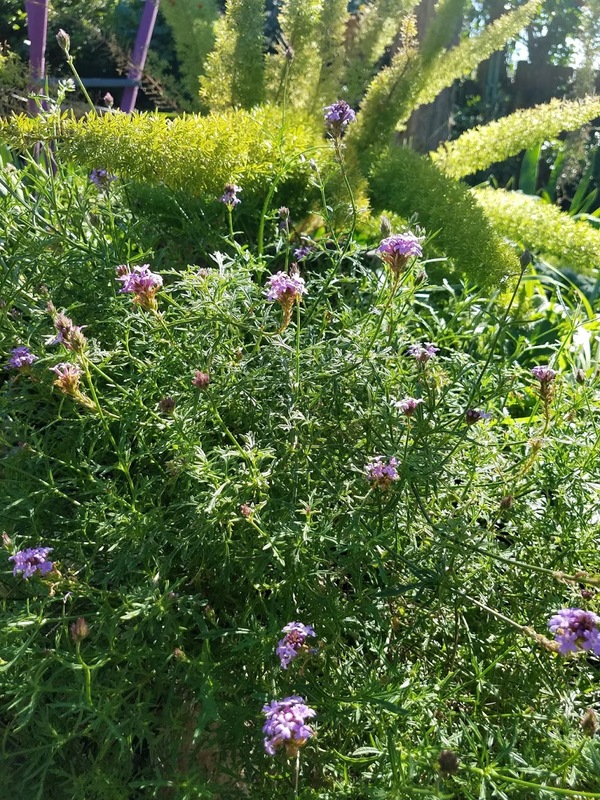 Verbena lilacena De La Mina is coming into bloom. 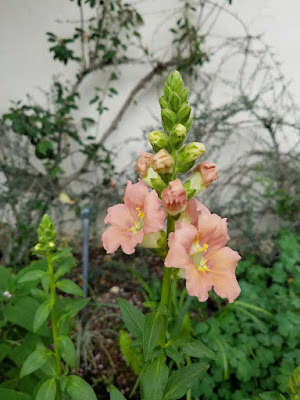 It is supposed to be a favorite of pollinators so I am happy that it has settled in since last year. 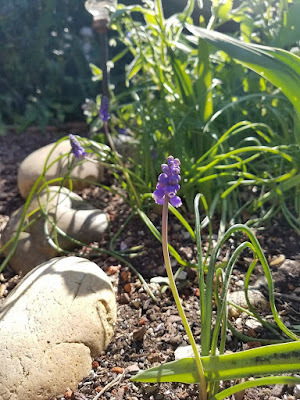 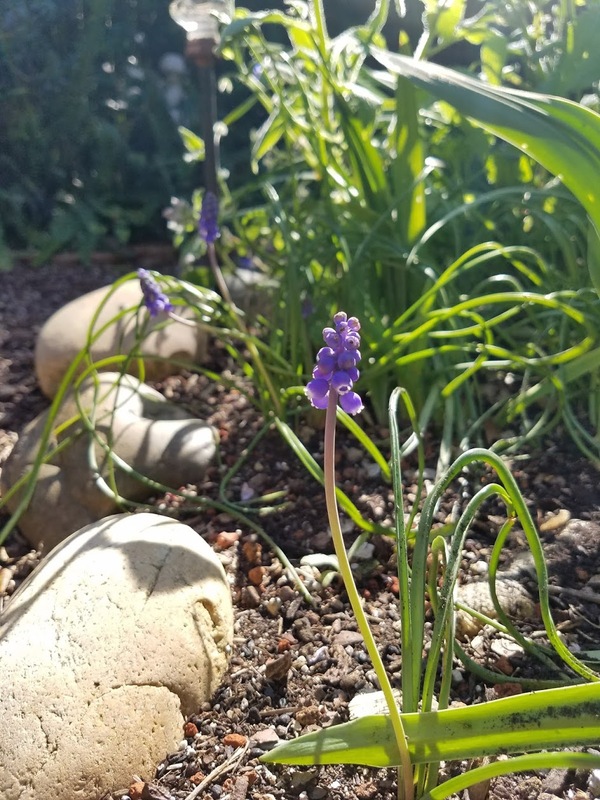 Here and there little muscari have popped up. 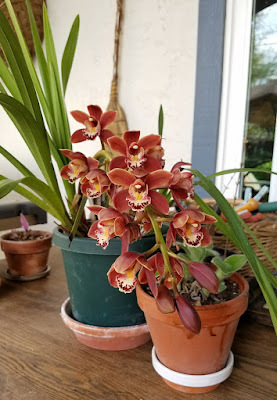 I need to remember to get some more and increase them more quickly than they seem to be doing on their own. 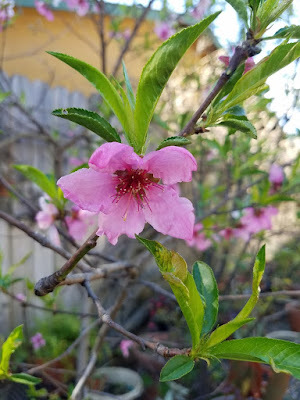 peach, and pear. 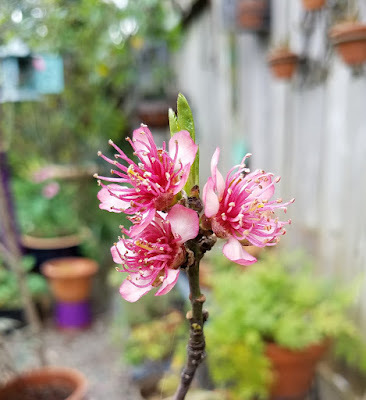 Hoping the winter rain means lots of fruit! 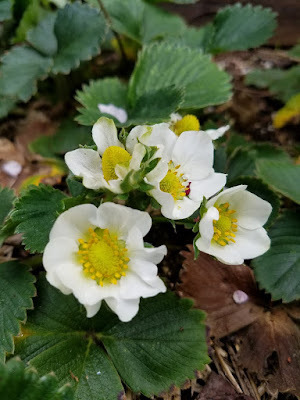 However, we will have strawberries long before we see the stone fruit. 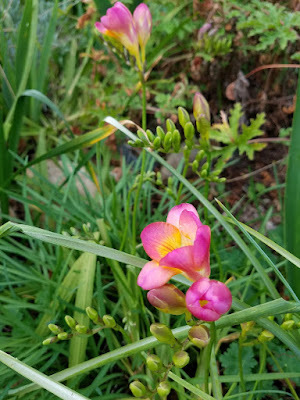 Freesias of many hues have just started blooming this week too. They smell so good! For more beautiful blooms visit Carol at May Dreams Gardens where you can also see more about her brand new book!